Join Wallowa Resources and the Rural Voices for Conservation Coalition (RVCC) for our inaugural fundraiser in Portland. 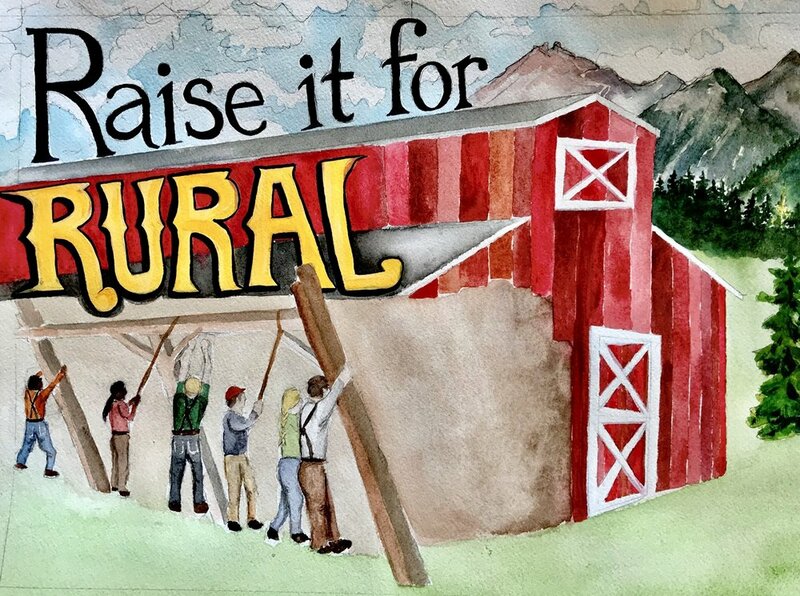 Raise it for Rural will be held Friday, November 16th at the Lagunitas Community Room. Come meet our team, hear stories from our partners, enjoy a beer, and help us raise funds to continue our hard work here in Oregon and across the West. Wallowa Resources shows how investments in forest restoration, water conservation, and renewable energy can improve the environment, while creating jobs in local communities and restoring rural vitality. RVCC demonstrates how these innovative approaches can be scaled across the Western U.S., helping improve federal policy more broadly to benefit communities and the environment. Join us to learn how urban cities are linked to rural communities and environmental stewardship, as we present the case for investing in the land, water and people of rural America. This fundraiser is intended to be fun, engaging and informative; and will include a silent auction and special appeal. Silent Auction Items: Packages include a trip to the Whistler Film Festival including lodging and a zipline tour; a 10-night stay in Los Barriles, a small fishing village on the Sea of Cortez; a night at Minam Lodge; a yoga retreat; two-nights at Breitenbush Hotsprings; and more! Individual tickets: $50.00 (include one drink token). *Additional beer tokens may be purchased with your registration and at the event. Contact: sally@wallowaresources.org or larz@wallowaresources.org for further questions and information.